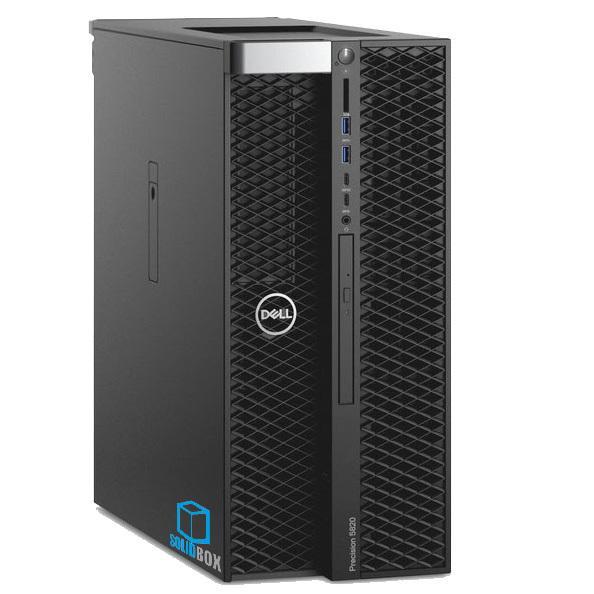 At SolidBox, we understand the value of a reliable and powerful workstation. In fact, SolidBox was founded because of the fact that we were never really satisfied with the performance of off-the-shelf computers that were essentially designed for everything except being a CAD/CAM workstation. Sure, you can install SOLIDWORKS and Mastercam on the computer your sister uses for data entry or gaming. However, you’ll notice right away just how frustrating that can be. As far as computer programs go, SOLIDWORKS asks a lot of any workstation. When you add photo rendering or simulation into the mix, things get really computationally challenging. Before SolidBox began offering the only SOLIDWORKS turnkey solution to CAD computing, your best chance was to build the most expensive system you could afford and hope for the best. Thankfully, that’s all changed now with what we call The SolidBox Integration. What Makes A SolidBox A SolidBox? Customers ask us this excellent question almost daily. What makes a SolidBox a SolidBox begins with our rigorous 40+ point integration of each and every system that comes through our doors. 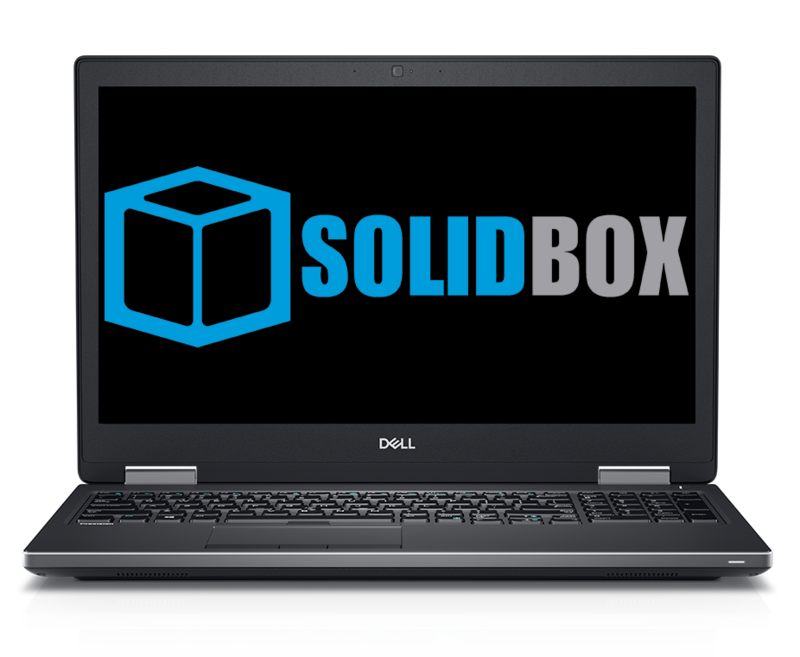 As an official Dell OEM partner, SolidBox works with Dell to provide a CAD/CAM workstation specifically designed and tuned for CAD. We design not just to meet SolidWorks Hardware Requirements and Mastercam Hardware Requirements; we design to exceed them. With help from Microsoft, SolidBox has developed its own versions of the Windows 10 Professional Operating System. The SolidBox Operating System is optimized for both SOLIDWORKS and Mastercam through a series of Windows Services & Registry Key settings, .NET optimization specifically for SOLIDWORKS, Virtual Memory/Paging File settings, and a variety of Custom Tweaks to yield an 18% increase in performance when compared to factory installations of Windows 10. The SolidBox Operating System is ideal for both individual and domain users. The SolidBox Operating System contains all the features found in a standard OEM copy of Windows 10 Professional x64. We disable several Legacy Windows Services in the SolidBox OS since modern programs rarely use them. If you have any issues with your SolidBox version of Windows, please contact support. Government and Military Contractors, please be sure to request the SolidBox Gold Version of Windows 10. During the SolidBox System Integration, our technicians divide your system’s disk resources into two or more partitions, to achieve the next level in performance and convenience. Our typical integration on your CAD/CAM Workstation will create two partitions, on one or two physical disk drives. The first partition is dedicated to the SolidBox Operating System and all the factory installed “Programs”. Our technicians dedicate the second partition to all of your “Data”. However, as a user, the entire experience will be transparent to you. The SolidBox crew will map all your user folders, including the Windows Desktop, to your DATA partition. Just use your SolidBox as you would any other computer, knowing that your data is safely isolated from the rest of the system. The SolidBox factory OS & DATA Partition setup makes it extremely easy to manage your system’s backups. Instead of backing up your entire system, you can isolate your “data” and save precious space on your backup system. Also, in the event of a re-installation of Windows or catastrophic failure of the Operating System, you can quickly restore your SolidBox Operating System using your BlackBox Captain or Aviator with no effect on your data partition. For more Custom Partition options, please contact your SolidBox Sales Person. Also, if you need help understanding your current SolidBox Custom Partition, please don’t hesitate to contact support. The Windows Registry controls EVERYTHING within Windows. Furthermore, people can modify information in this vault of information and increase or decrease performance. During the SolidBox Workstation Integration, our technicians clean out redundant Registry Keys created during the installation of SOLIDWORKS, Mastercam, Adobe, and Microsoft Office. The result in a much faster SOLIDWORKS and Mastercam experience. SolidBox Registry Enhancements are not only about removing useless keys. Because most of the SOLIDWORKS and Mastercam files are larger than 2MB, the SolidBox integration team modifies several Windows Registry Keys to optimize the file transfer (open and save) of those larger files. Remember, most Windows users aren’t working with files as large as yours. Other Registry Enhancements include those dedicated to SOLIDWORKS Toolbox & External References. We implement these tweaks as needed. The final Registry Enhancement we implement is our very own SolidBox branding. Although each workstation arrives at our lab as a Dell, it leaves our hands as a SolidBox, and we wanted the branding to reflect this transformation. Once the “base tune” is accomplished, SolidBox Integration technicians then install your specific license of SOLIDWORKS (and SOLIDWORKS-related products), and any Adobe software (i.e. Adobe Creative Cloud, Photoshop, Acrobat XI, Premiere Pro, etc…) that is part of your workflow. We also work directly with your SOLIDWORKS VAR to ensure you are working with the correct version and service pack. Once our technicians install SOLIDWORKS, we perform our in-house developed SolidMark Benchmark as well as Burn-In Testing to ensure that your SolidBox CAD/CAM workstation is functioning at peak performance. The final piece of the The SolidBox Integration is our SolidBox Enhanced ProSupport. You can learn all about Dell‘s industry leading ProSupport by clicking here. With Dell, you receive amazing dispatch and replacement support services included in your three year support agreement. We enhance the experience by being your point of contact when things don’t quite go as planned. If something goes wrong at any point during the three year ProSupport+ coverage, our Engineers with Certified SOLIDWORKS Expert Certifications will be the first to support you and help you troubleshoot the issue. In some circumstances, our Engineers may determine the issue is a result of faulty hardware. If so, we will initialize the support call with Dell. Afterwards, replacement of the defective part will occur within 24 hours of the initial call. Should you have questions regarding your SOLIDWORKS and Mastercam installation or wish to upgrade your hardware, we will work directly with you and your VAR to make sure the process goes as smoothly as possible. As a SolidBox family member, we want you to never have to worry about your CAD/CAM workstation. With the SolidBox Integration, we’ve taken all of the guesswork and mystery out of the hardware equation so you can get to work. That’s what makes a SolidBox a SolidBox.